UK Stampin' Up! Demonstrator | make beautiful cards | Crafty Hippy: Welcome CraftyBox - a new monthly subscription to a box full of yummies! Welcome CraftyBox - a new monthly subscription to a box full of yummies! Good morning everyone! Very excited to announce that my new product CraftyBox is here. CraftyBox is a monthly subscription where you receive a beautiful box of co-ordinating crafting supplies, based around a patterned paper design, making your craft experience quick, easy and fun. It also means you get to build your Stampin' Up! supplies at a fraction of the cost allowing you to sample more of our wonderful products. Boxes are themed each month and in your box you'll receive Designer Series Paper (DSP), matching cardstock, envelopes and co-ordinating accessories - like ribbon, trim, embellishments. Your box will contain Stampin' Up! goodies to the value of at least £20.00. What a fantastic offer! New boxes will go live on the 1st of every month and you'll receive your box one week after payment, with a notification when your box is on its way. Boxes will be sent out Recorded post. There is a different theme every month. 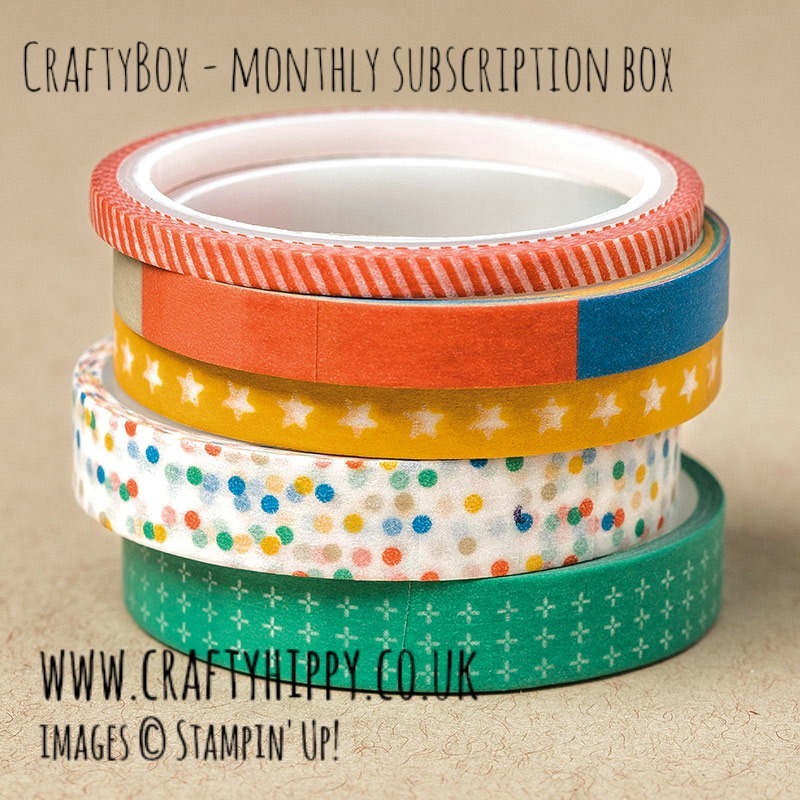 CraftyBox costs £20.00 per month. Payment is taken on the same day every month as the day of your original purchase. Please don't hesitate to get in touch if you have any questions about the CraftyBox or Stampin' Up! products.